Over the last few weeks, Google has been adding Lollipop's material design flourish to all of its big name apps and services, and now the Google app is finally getting the same treatment. But in addition to its new look, Google is pushing its voice assistant even harder by opening up "OK Google" search to app developers. Of course, one of Google Now's most popular functions is serving up important info mined from Gmail. Now, a new Google Now card will ask if you want to set reminders based on the context of emails in your inbox, hopefully making those "sorry I missed your email" mea culpas a thing of the past. Also, Google continues its quest to organize your life by just making decisions. Once you say, "OK Google, flip a coin" you leave your fate in the hands of Google Now. 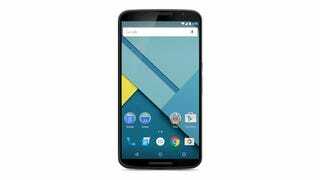 Of course, all these functions are reserved for only the Nexus 6, Nexus 9, and most recently, the 2nd generation Moto G with more Android phones expecting the update very soon. Older Nexus devices were expected to receive the update last week but a battery-draining bug derailed the OTA release. Hopefully, the wait will be over soon.